There are very few new moms who aren't obsessed with germs. 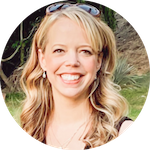 From having hand sanitizer in every room to constantly wiping down every possibly-contaminated surface, I admit, I was that mom twice in the past few years. Little did I know how easy it was to keep a newborn baby unexposed to most germs. The real trouble comes once babies are aware of their surroundings and touching everything. Then they start putting their mouths on all of it; it's enough to make a somewhat-paranoid mom want to hole up at home and not let them touch anything that hasn't met my approval first! As you may have noticed, there's a baby product for every need, and I'm all for those practical products that help to protect our little ones from bacteria that causes flu, colds and everything else! The Infantino Cloud shopping cart cover aims to do just that. Infantino and Mom Central teamed up several months ago to create a panel of Infantino Test Drive Moms. I'm a lucky mom who gets to be part of that, so I get to try out new and exciting Infantino products! One item they recently sent me was the Infantino Cloud shopping cart cover. The word “cloud” in the product title is entirely appropriate! 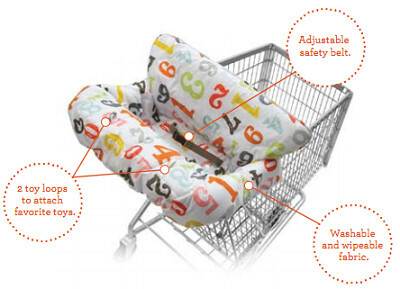 This shopping cart cover is plush and padded to keep baby cozy and comfortable while mom shops. Further, it also fits over standard restaurant high chairs to keep baby away from the hotbed of germs that live there! The Infantino Cloud shopping cart cover stretches to fit over the entire area baby could come into contact with on a shopping cart. It's decorated with a bright pattern of numbers and there are toy loops to attach more toys. That means little ones can have a bit more entertainment while being pushed around a store with mom or dad! 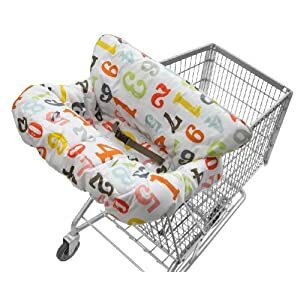 Buy it: The Infantino Cloud Shopping Cart Cover is available for $29.99 on Amazon with free shipping!